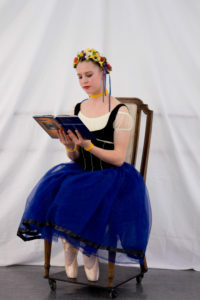 The Coppelia Ballet is an optional ballet performance for all ballet students in the level primary through advanced. Dance Connection continues a tradition of alternating costumed performance years. On even years (2020, 2022) we produce our low-key ballet concert. The odd numbered years include a full ballet production, alternating between Coppelia, Sleeping Beauty, and Cinderella.